CEDAR RAPIDS, Iowa (July 16, 2018)–”MasterChef” contestants Matthew Houck and Cesar Cano will host a special dinner at the Kirkwood Culinary Kitchen at NewBo City Market on Friday, July 21. The dinner, which includes an eight-course menu, will give guests an opportunity to taste several unique small-plate dishes. Various menu items will be sourced from the Kirkwood greenhouse and chef’s garden, and the Winery at Kirkwood will provide wine samples throughout the evening as well. 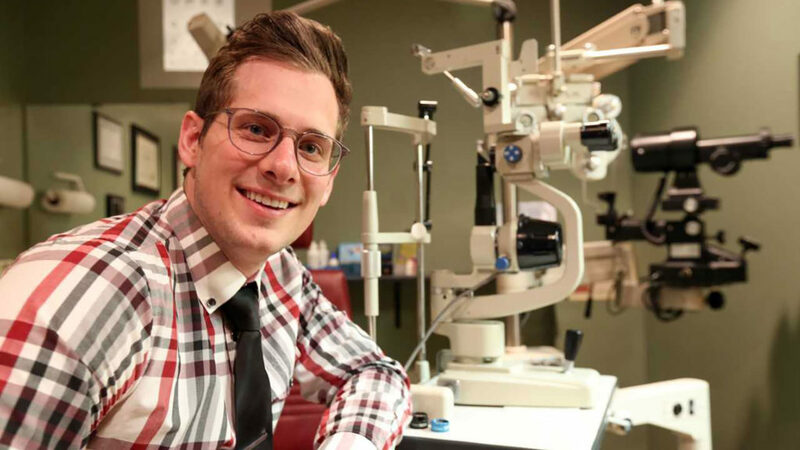 Houck currently works as an optometrist in Iowa City, but has recently been featured as a competing amateur chef on FOX’s “MasterChef.” The show has finished filming, but is currently airing its ninth season. Houck developed an interest in cooking shortly after his graduation from optometry school, and a culinary class through Kirkwood’s Continuing Education program helped further develop his passion for cooking. The Kirkwood Culinary Kitchen at NewBo City Market, which opened in October 2012, offers a broad range of classes for everyone from the kitchen novice to experienced chefs. The kitchen holds the college’s Continuing Education cooking classes and offers year-round culinary and nutritional classes for the general public. Houck and Cano’s dinner is open to the public, but seating is limited to twelve guests. Tickets can be purchased at http://littlevillagetickets.com/events/56647139/masterchef-matt-and-cesar-tasting-event. When: Friday, July 21, at 5 p.m.